Comprehensive healthcare security solutions to create a safe, compliant environment for patients and employees. Secure access to my facility and supplies. Access control and information security solutions that can be tailored to meet your healthcare facility’s needs. Dynamic access control solutions that keep buildings secure including breakthrough mobile and biometric authentication technology. Know with certainty who is entering your facility and accessing supplies while ensuring that privacy is protected. Comprehensive access control solutions that protect physical assets and manage access to networks, doors, gates and parking facilities -- while satisfying industry-specific compliance requirements such as HIPAA and EPCS. Integrated solutions for physical access control, time and attendance and information security using a single credential. Biometric and multi-factor solutions for added protection of restricted areas and sensitive data. Solutions that identify and manage hospital visitors to maintain a safe environment for hospital staff and patients. Merge security with convenience by adding secure access control via mobile device. Increased visibility throughout the hospital: quickly locate healthcare providers, patients, and devices. 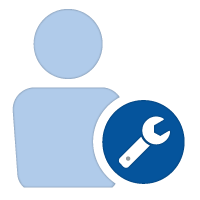 Use a mobile device to verify the physical presence of a person or product. Confirm the presence of a caregiver or security guard, or ensure the authenticity of product brand. NFC-enabled mobile solutions provide flexible peace of mind. The ability to protect patient information and stop healthcare data breaches with a single swipe. The ability to secure proof of presence combining Near Field Communications (NFC) or BLE and cloud-based authentication to uniquely add trust to IoT applications. Secure and automate antiquated processes using trusted NFC Technology. 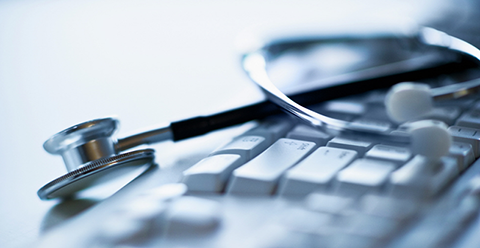 Eliminate healthcare billing fraud using secure electronic visit verification. Identify and manage hospital visitors. Increase facility security without sacrificing the convenience of your patients and visitors. Visitor management solutions that automate registration, badge printing and the capture of information within seconds—resulting in a visitor-friendly experience that ensures the security of your hospital. Intelligent visitor management solution designed to meet the unique needs of hospitals and other healthcare facilities. Create and manage secure access ID badges for employees, visitors and contractors onsite or in HID Global’s state-of-the-art production facilities. Biometric solutions with easy enrollment for quick visitor access. Protect your patients and your hospital staff with a variety of solutions that provide an electronic audit trail. Solutions that protect your patients and staff, providing an electronic audit trail through secure document printing, trusted NFC solutions for "proof of presence" and multi-factor authentication that satisfy HIPAA and EPCS requirements. 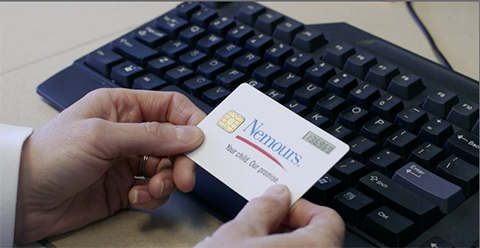 A solution that delivers physical and IT access with one card, including the complete lifecycle of the identity: from identity proofing, secure credential issuance, management and retirement of the secure credential. Solutions that enable you to securely print documents, minimize costs associated with printing and reduce your carbon footprint. Hardware, software and cloud-based solutions for multi-factor authentication that satisfy industry-specific compliance requirements such as HIPAA and EPCS. Ensure HIPAA and GDPR compliance for patient records. Solutions designed to ensure HIPAA, EPCS and GDPR compliance, from printing confidential documents to providing patient care. Solutions designed to protect patient data—from secure printing of confidential documents to the actual delivery of patient care—utilizing multi-factor and biometric authentication that complies with HIPAA, EPCS and GDPR requirements. Biometric solutions to facilitate efficiency healthcare staff access several dozens of protected records every day. Simplify secure access across a variety of applications. 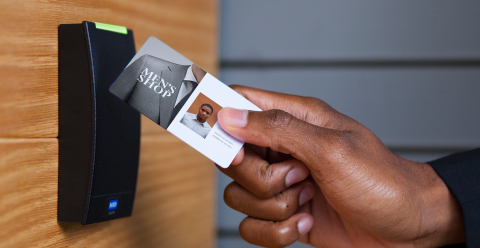 Leverage your existing access control cards for additional services to offer convenience and create operational efficiencies. Simplify management of time and attendance data by leveraging your existing HID Global solution. This allows your organization to maximize the value of your existing physical access control badges. Smart print solutions to provide access to sensitive print materials, when and where you want, reducing operating costs and creating a smaller carbon footprint. The ability to leverage existing access control cards for additional campus services, such as cashless payment systems.